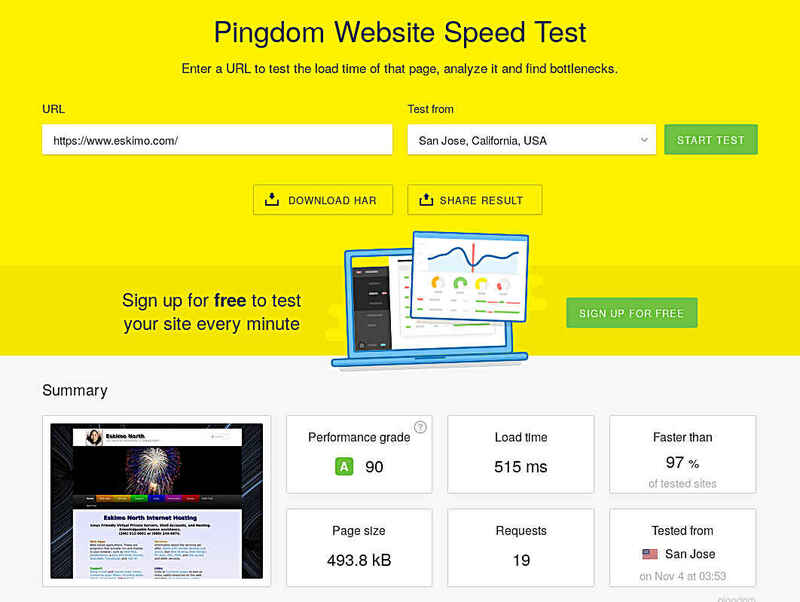 These are the pingdom results (2nd and subsequent load so cache is utilized) for our website which is hosted on our shared hosting server. This is the same server your website will be hosted on if you use our web hosting services. We the reason our performance grade is “90” instead of “100” is because of Facebook and Twitter buttons on our page over which we have no control. Even so our site loads faster than 97% of the Internet, 515ms (just over 1/2 second). Yours can too! No need to put up with the slow response you’re getting from other hosting providers.